SAN FRANCISCO -- Dell, the subject of a takeover battle between activist investor Carl Icahn and the company's billionaire founder, reported a 79 percent slide in profit as personal computer sales continued to shrink. The disappointing results lend weight to Michael Dell's effort. The man who started Dell Inc. (DELL) from a college dorm room wants to take the world's No. 3 PC maker private for $24.4 billion, arguing that its transformation into a provider of enterprise computing services, from mainly a computer maker in a shrinking market, is best done away from public scrutiny. Reflecting that shift in focus, Dell said Thursday that revenue from enterprise solutions, services and software jumped 12 percent to $5.5 billion, while overall revenue slipped 2 percent. Its "end-user computing division," linked to PC sales, slid 9 percent. To augment its enterprise business and go head-to-head with more established players such as IBM (IBM) and Hewlett-Packard Co. (HPQ), Dell is investing heavily on research and sales to retain customers. Icahn and major stakeholder Southeastern Asset Management, however, dismiss Michael Dell's go-private deal as too cheap for a company trying to become a major provider of enterprise computing. They are proposing new leadership and additional cash or stock for shareholders. "Hardware margins were pretty abysmal, which should generally support [Michael] Dell's bid," said Morningstar analyst Carr Lanphier. "But Michael Dell's strategy is also to be aggressive in pricing, to win key contracts." "It doesn't seal the case one way or the other." Icahn's and Michael Dell's battle over what direction to take the company underscores the uncertainty in the PC industry, which enjoyed more than a decade of roaring growth until the advent of smartphones and tablets ended that era. Now, the company that had been upheld as a model of innovation as recently as the early 2000s is steadily ceding ground to lower-cost Asian rivals and mobile hardware makers like Apple Inc. (AAPL). "We made progress in building our enterprise solutions capabilities in the first quarter," Chief Financial Officer Brian Gladden said. "We have taken actions to improve our competitive position in key areas of the business, especially in end-user computing, and it has affected profitability." Margins based on generally accepted accounting principles slid to 19.5 percent from 21.3 percent a year earlier, as total operating expenses climbed 12 percent. Net income fell to $130 million from $635 million a year earlier. Excluding certain items, income was down 51 percent to $372 million, or 21 cents a share, from $761 million, or 43 cents a share, a year earlier. That lagged by far the 35 cents Wall Street had expected. Revenue in its fiscal first quarter ended May 3 fell to $14.1 billion, higher than the average analyst estimate of $13.5 billion according to Thomson Reuters I/B/E/S. The company said it couldn't provide a financial outlook because it was in the midst of Michael Dell's go-private deal. Shares in Dell slid 3 cents to $13.40 in after-hours trade, after closing at $13.43 on Nasdaq. Ron Johnson's short tenure as J.C. Penney's (JCP) CEO will go down as one of the biggest flameouts in corporate America. The former Apple executive was hailed as a big thinker when he was hired by the ailing department store chain, but his radical moves ended up alienating shoppers, sent sales plunging, and left the company in even worse shape. But Johnson isn't the only executive to be pushed out after failing to live up to big expectations. Here's a look at some of the other major ousters in recent times. The Internet company Yahoo! (YHOO) hired technology veteran Bartz in 2009, with the goal of bringing in a no-nonsense leader who would develop a clear vision. Bartz shook up Yahoo's management and instituted a cost-cutting program that helped boost the company's earnings. But revenue failed to grow even as the online ad market expanded at a rapid clip. Bartz, known for her very direct approach and sometimes-colorful language, stressed that a turnaround would take time and pleaded for patience from shareholders, pointing out that it took Steve Jobs years to revive Apple after his return in 1997. But after more than 2½ years of financial lethargy, Yahoo ousted Bartz in 2011. The company's chairman fired her over the phone, according to an email Bartz sent from her iPad that was obtained by the All Things D technology blog at the time. When HP (HPQ) hired Apotheker in November 2010, it was seen as an aggressive push by the company into the software business. But many analysts mocked the choice, considering that Apotheker had just been forced out of his previous job as CEO of German business software maker SAP AG following ill-timed price hikes and widespread employee dissatisfaction. Apotheker was supposed to be a steady hand to steer HP out of a tumultuous time but his strategic decisions were drastic and did little to inspire confidence. He was doomed by disappointing earnings and a fumbled announcement that the company's personal computer division was for sale. Even as he struggled, Apotheker complained that HP suffered from years of under-investment by his predecessor, Mark Hurd. Apotheker also was one of the chief backers of HP's acquisition of British software company Autonomy Corp. HP paid $10 billion for Autonomy, but later said it was deceived by improper accounting and overpaid. After just 11 months, Apotheker was forced out and replaced by former eBay CEO Meg Whitman. Conaway had won many fans on Wall Street as the No. 2 executive at CVS (CVS), where he helped build the drugstore chain into an industry powerhouse. When he was hired by Kmart (SHLD) in 2000, Conaway inherited a company with a long list of entrenched problems, including outdated technology and drab stores. Analysts say Conaway made strategic mistakes, such as trying to compete with Walmart on price and focusing on exceedingly cheap groceries rather than on its exclusive Martha Stewart brand. In early 2002, Kmart filed for Chapter 11 bankruptcy, and Conaway resigned soon after. Conaway also faced accusations that he misled investors about Kmart's financial problems before the bankruptcy filing. The bankruptcy led to Kmart coming under the control of Edward Lampert, a billionaire investor. Lampert later engineered the acquisition of Sears, Roebuck & Co., combining the companies into Sears Holding Corp.
Nardelli was hailed as an outsider who could help save the U.S. auto industry by private equity firm Cerberus Capital Management, which installed him as the head of Chrysler in August 2007. But Nardelli, who spent most of his career in the executive ranks at GE before leaving to run Home Depot, had no experience in the complex business of auto manufacturing, and it showed. Instead of investing to improve Chrysler's substandard lineup, Nardelli focused on cutting jobs and closing plants. He alienated suppliers and dealers, who revolted when Chrysler announced plans to close dealerships and stopped financing leases. And he was gaffe-prone, at one point mistakenly telling Wisconsin's governor that an engine plant in his state would remain open. By the time the financial crisis hit in the fall of 2008, Chrysler was in serious trouble. Nardelli testified before Congress and obtained loans to help the company survive, but it was too late. Chrysler filed for bankruptcy in April 2009. When Chrysler exited bankruptcy that June, Nardelli was out and Fiat CEO Sergio Marchionne took over. Grocery store operator Supervalu brought in Herkert in 2009 with the hopes that the high-ranking former Walmart executive could spark a turnaround for its struggling fortunes. Supervalu (SVU), which was one of the country's biggest grocery store operators at the time, was struggling with growing competition at big-box retailers, drugstores and dollar stores. Under his tenure, Herkert tried positioning Supervalu as a neighborhood store and emphasized low prices. But sales and profitability kept sliding and last summer, the company suspended its dividend and announced plans to potentially put itself up for sale. A few weeks later, Herkert was out. In January, the company announced that it was selling five of its major chains and focusing on its Save-A-Lot discount stores and smaller regional chains. 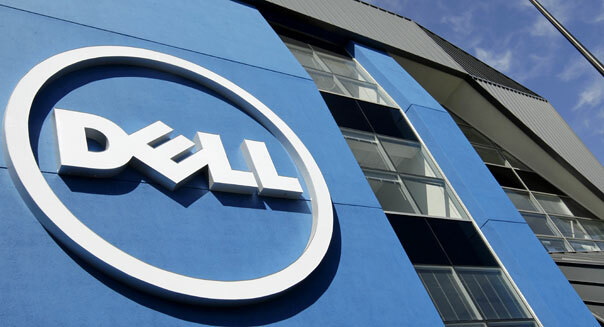 Rollins joined Dell (DELL) in 1996 and held a variety of roles before becoming CEO in 2004, including chief operating officer, vice chairman and president of Dell Americas. The company had been struggling with a market glut of low-cost, low-profit PCs and weaker-than-anticipated sales of its pricier, more lucrative desktops and notebooks. In 2006, it lost its No. 1 position in the industry to rival Hewlett-Packard Co. In addition to disappointing earnings, Dell had recalled more than 4 million potentially flammable notebook batteries made by Sony in August 2006. The company's accounting practices had come under federal scrutiny as well. The key parallel between Rollins and Penney's Johnson may have been overpromising. Rollins took the reins of a company doing a little more than $40 billion a year in business and painted pictures of bumping that to $80 billion -- which Dell has still not approached. Rollins stepped down in early 2007. Founder Michael Dell took the CEO job back.